When you stop and think about it, the 2017 session of the Vermont legislature has reached an unusual end point. A topic that wasn't even on the agenda until less than three weeks ago has completely captured the narrative, both inside and outside the Statehouse. The entire session is likely to be remembered — and the winners and losers determined — on the basis of this one issue. All other subjects have been reduced to mere afterthought. The issue, of course, is Gov. 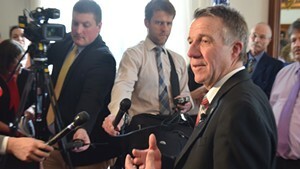 Phil Scott's proposal to negotiate public school health insurance plans at the state, rather than local, level. 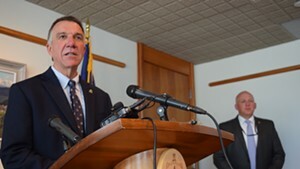 Developed by the Vermont School Boards Association, the plan is better known around the Statehouse as "the $26 million thing," after the amount of money the governor claims the measure would save. Its formal introduction on April 20 threw a monkey wrench into the closing days of the session. As of this writing, the standoff between Republican governor and Democratic legislature remains to be settled. But even as the parties search for compromise, there's little agreement on how they got to this point. Take that "late introduction" bit. 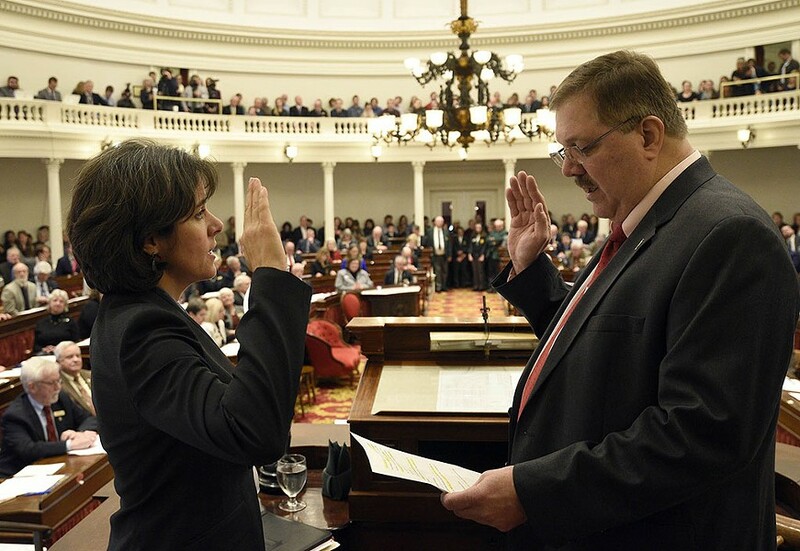 "Nobody put anything on the table until two weeks ago," maintains House Speaker Mitzi Johnson. "We had heard some broad-stroke proposals," but that's all. Team Scott doesn't see it that way. 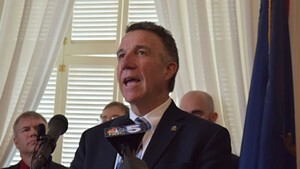 "The formal proposal was made public [on April 20], but this has been something that [the governor] has been pointing to since February," says Scott spokesperson Rebecca Kelley. "This is something that [legislative] leadership was aware of, and discussions have been ongoing since the plan came to our attention in February." Who's right? Depends on what you mean by "the plan." VSBA executive director Nicole Mace says her organization started looking for ways to save money in January because "it became very clear that we have an administration that is serious about K-12 cost containment." Seeking a seat at that table, the VSBA board set up a working group that produced a set of ideas in February. One of them had to do with an upcoming change in teacher health insurance. Because of changes mandated by the federal Affordable Care Act, all unionized education staff will be switching plans in January. VSBA estimates that the change will cut costs by $75 million. It proposed using roughly two-thirds of the savings to mitigate the impact on teachers — making up for higher deductibles and other costs in the new plans. The other one-third, the now-famous "up to $26 million," could be used to cut property taxes. This is the idea Kelley says the governor has been "pointing to" since February. Top lawmakers have another view. "What I know is that [VSBA] had a PowerPoint they were showing people which talked about a number of issues," says Senate President Pro Tempore Tim Ashe. "It wasn't like they were coming at us with one issue that was the foremost issue." Ashe decries the lack of "an actual proposal on the table." Kelley insists there's been plenty of discussion since February. Funny thing is, they're both right. "The plan," broadly speaking, has been out in the open for months. But an "actual proposal," including a move to statewide teacher health care negotiations, wasn't unveiled until April 20. Johnson says this tendency is nothing new. "There's been a pattern of proposals that don't get fully fleshed out," she says of Team Scott's priorities. "In previous administrations, when a speech contains a broad idea, within a day or two there's a bill proposed." Even now, she says, Scott's April 20 proposal lacks detail. For instance, it doesn't outline what happens to the savings. Is the money applied to other programs? Which ones? Or does it go back to the taxpayers? "I believe we did provide language that could be used for amendments or to be input into the budget," says Kelley. Which is true, but that's a long way from submitting a vetted piece of legislation that, as written, could become law. 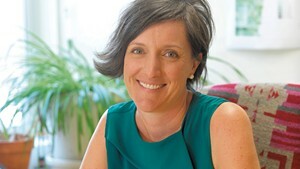 For Kelley, this approach is a sign of the governor's flexibility. "He is open to alternative proposals," she says. "We're open to other paths, and we'd like to see what the legislative recommendation is, and that was not forthcoming." Top lawmakers say that's not how the process works. "It's typically said that administrations propose; legislatures dispose," says Ashe. He points out that the legislature is a part-time operation with few staffers, while the executive branch employs thousands and operates year-round. Hence, a legislature doesn't have the time or resources to "flesh out" policy ideas or engage in a philosophical back-and-forth with a governor. The question arises: Is the governor truly offering flexibility, or is he avoiding commitment? If he proposes a concrete piece of legislation, he has to get down in the weeds. If he floats an idea or suggests "language that could be used" in a law, he can operate on a higher, sound-bite-oriented plane. In essence, he's being political while the legislature is mired in the scut work of policy. Eventually, everything will be settled — with or without a gubernatorial veto and an override session. But will the conflict fade into memory, or does it portend a very different legislative/executive relationship — in which the executive offers flexibility (as he would put it) or refuses to engage in policy detail (in the eyes of lawmakers)? Whatever agreement is reached on teacher health care negotiations, Ashe worries that the last-minute process will do lasting damage. "If the end of this session results in the demoralization or unilateral sledgehammer of teachers, it might make some people happy," he says, "but it's not going to be very good for the relationship between teachers and local school boards." You could say the same for the relationship between the governor and the legislature. Last Friday, Sen. Bernie Sanders (I-Vt.) made himself available for a couple of rare interviews with Vermont media. Not Seven Days, of course. It's now been 740 days since he deigned to give us an interview. Instead, Sanders sat down sequentially with WCAX-TV's Kyle Midura and WPTZ-TV's Stewart Ledbetter. Each quizzed him on a variety of subjects. Each only briefly addressed the elephant in the room: the FBI's ongoing investigation of a land deal orchestrated by his wife, Jane O'Meara Sanders. During her time as president of Burlington College, O'Meara Sanders brokered the 2010 purchase of a 32-acre lakefront parcel from the Roman Catholic Diocese of Burlington. The $10 million debt she took on proved to be the college's undoing. As Seven Days reported last week, the feds appear to be investigating whether she misrepresented fundraising commitments in order to secure bank financing. "Sen. Sanders said that he could not have any comment at this time," Ledbetter tells us. "He said he will comment in the future, but not at this time." Midura asked two questions about Burlington College. His approach was more oblique and, arguably, gave Sanders an easy way out. Midura didn't mention the federal probe. He only discussed accusations that the senator had used his influence to help secure a bank loan for the land deal. "This implication came from Donald Trump's campaign manager in Vermont," Sanders said, referring to Vermont Republican Party vice chair Brady Toensing, who filed a complaint in January 2016 that appears to have launched the federal probe. Toensing was, in fact, the Trump campaign's state chair, not its manager. 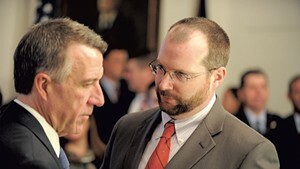 "Let me leave it at that, because it would be improper at this point for me to say anything more," Sanders concluded. When Midura pressed the issue, Sanders threw some more shade on the unnamed Toensing and repeated that "it would be improper" to say more. Journalists who interview Sanders are basically stuck between a rock and a hard place. The senator has been known to walk out of interviews (this columnist has seen it happen) when the questions are not to his liking. A reporter has to balance hard-hitting confrontation with the risk of having an interview cut short or perhaps losing future access to Vermont's political rock star. It's a tough position to be in — but it is, after all, part of the job. This kind of eggshell-walking has enabled Sanders to pick and choose the issues he wants to address and to basically call his tune when it comes to the Vermont press. The career transitions of radio personalities are widely noticed because their voices are so familiar. But the comings and goings of behind-the-scenes staff usually escape attention, although they can play a vital role in a successful broadcast. If you recognize the name Patti Daniels, you're one of the few who pays attention to the credits for Vermont Public Radio's "Vermont Edition." Daniels has been the show's lead producer since its inception. Indeed, in the beginning when "Vermont Edition" aired once a week, she was its only producer. But after 15 years at VPR and 12 on the "Vermont Edition" team, Daniels is soon to leave her position as the show's executive producer. She's staying on until the end of August to help with the transition to a new EP. Brief personal aside: In a previous life, I was host of a daily public radio show in another state. From experience, I know that a good producer who's in sync with the host makes a show work much better. And one of the worst days of my tenure was when my founding producer and show cocreator announced she was leaving. What's worse, she not only left the station, she moved to China. For real. About as far away from me as she could possibly get. So where is Daniels off to? "You're gonna die when I tell you this," she says with a hearty laugh. "I'm going to China!" Note to "Vermont Edition" host Jane Lindholm: Try not to take it personally. "I'm putting myself in a forced disruption for several months," Daniels says. "I'm starting with a cross-country trip, and then flying to China, and Tibet, Nepal, India, Singapore, Vietnam, and then I'll reconsider where I am." Meanwhile, a new voice is coming to VPR. Henry Epp has been hired as local host of "All Things Considered." He comes from New England Public Radio, based in Springfield, Mass., where he was local host of "Morning Edition." Epp replaces Alex Keefe, who left VPR in January to return to his native Chicago.